Although this Is stated with the title of "Windows 7 DaRT", It's also compatible with Windows Server 2008 R2 and will perform and function In the exact same way for both versions of Windows. Bear In mind, this Is for the 32 bit architecture. This is the usual selection of Windows administrative tools to begin your troubleshooting, for example, check the event logs and the device drivers. In this situation Defender is available if you need to check for rootkit viruses. Good old Regedit is here incase you need to edit import keys or edit values. 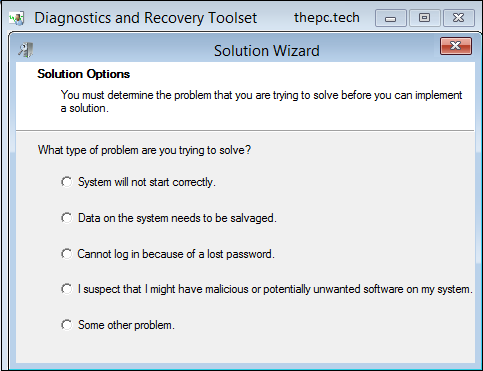 The System File Repair Wizard is available for identifying, and hopefully, repairing system files that are preventing the operating system from starting.